Highway Markings introduced UHP Water Blasting to Ireland in 2005 as a road marking removal technique. It is now the preferred road marking removal technique by Local Authorities and the National Roads Authority. UHP Water Blasting quickly removes markings faster and more thoroughly than abrasive methods – without damaging the pavement or asphalt. UHP Water blasting is fast and productive, and avoids exposing the environment to chemicals or contaminants. It also simplifies clean up, is dustless and leaves a clean surface.ean surface. UHP Water Blasting uses water pressurised by an extremely powerful motor/pump to clean and remove markings from the pavement surface. These powerful motors can deliver pressure at the cleaning head of up to 40,000psi (2,700 bar). The sheer force of the water delivered literally knocks the markings off the pavement. 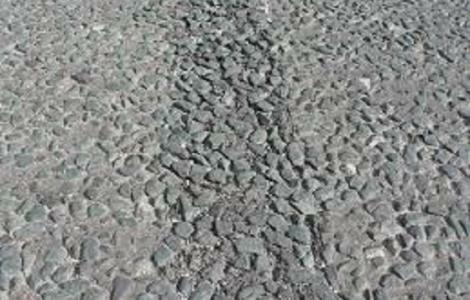 A vacuum recovery system removes all waste materials and surplus water leaving the road surface semi-dry. Our UHP Water Blasting unit is mounted on a 26tonne truck and uses approx. 22 litres of water per minute (<5 gallons). In the hands of our skilled and experienced operators, this process is capable of removing all kinds of road marking products without damaging the road surface. Our equipment is fitted with full dual controls thereby ensuring that all works are carried out in the same direction as the traffic flow. 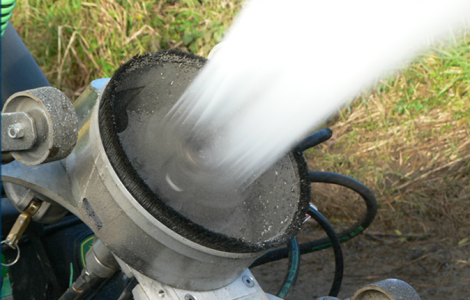 Our operators have received training from the UK Water Jetting Association. Operatives are not required within the ‘Works Area’. Positive control of traffic allows ‘sideways clearance’ to be at a minimum and, in most instances; a semi static traffic management system is used. The cleanliness of our UHP Water Blasting Removal System makes it a positive contributor to a healthier environment.